A pair of 18kt yellow gold and diamond bell earrings. 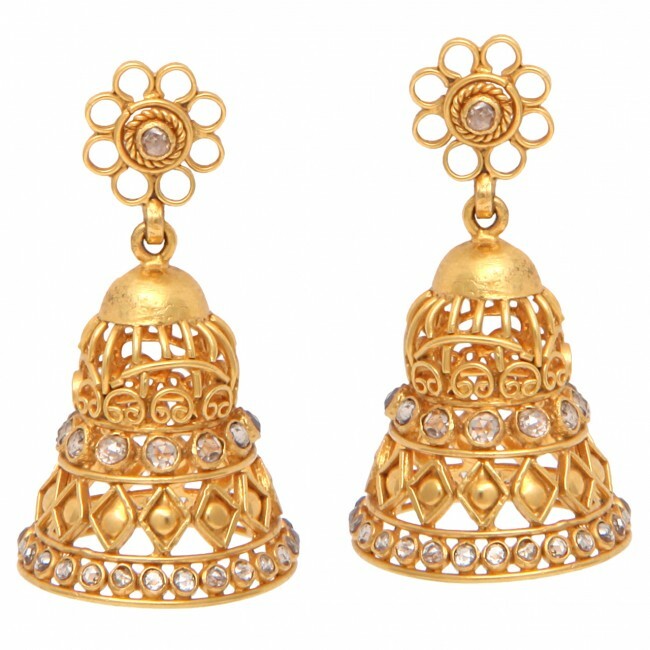 The earrings are suspended from 18kt yellow gold and diamond flower studs. There are approximately 2.09cts of diamonds.